The Report My Lost Property website allows members of the public to create a Lost Property Report online and receive a Lost Property Report number for insurance purposes. 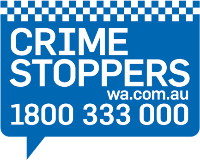 Reporting stolen or criminally damaged property – report via Online Services Report Stolen or Damaged Property and read the text to ensure your report meets the criteria to create an Online Stolen/Damaged property report. If you do not have a Western Australian motor drivers licence (WA MDL) or you have a WA MDL but do not know the number – phone police on 131 444. Property lost/misplaced outside Western Australia – can only be reported to police in the jurisdiction where the loss occurred. If the property was lost/misplaced within your home or yard - lost reports are not processed for any items lost/misplaced in these circumstances. If you are not the owner of the lost property – phone police on 131 444.